We looked at the top 10 E-Readers and dug through the reviews from 182 of the most popular review sites including New York Times Wirecutter, Tech Radar, TechHive, Trusted Reviews, Digital Trends, Tech Spot and more. The result is a ranking of the best E-Readers. Our experts reviewed the top 10 E-Readers and also dug through the reviews from 182 of the most popular review sites including New York Times Wirecutter, Tech Radar, TechHive, Trusted Reviews, Digital Trends, Tech Spot and more. The result is a ranking of the best of the best E-Readers. Our top choice for e-readers has a crisp screen and easy touchscreen controls. Reviewers said it was softer on the eyes than other e-readers, and they loved the slimmer profile. Its waterproof casing and Audible compatibility are well worth the money. DWYM Electronics Experts plus BestReviews, New York Times Wirecutter, Trusted Reviews, Tech Radar, Wired, CNET and 7 more. Along with user reviews from Amazon and Best Buy.
" Excellent screen qualit and easy to use." "More annoying is the lack of any page-turning buttons. The Paperwhite has always been a purely touchscreen device, and if you want that physical response to moving from page to page then you’ll have to pay more for the Kindle..."
Our Best Value selection is an earlier edition of Amazon's Kindle Paperwhite. The high-resolution display and side-mounted LEDs make this e-reader particularly accessible. Amazon's special Bookerly font makes onscreen reading even easier. Lightning-fast page turns will help you devour your favorite books quickly. DWYM Electronics Experts plus Aging in Place, PC World, Tech Radar, Engadget, Good E-Reader. Along with user reviews from Amazon and Best Buy.
" You can read a book without turning a page. As you are reading one, you can learn about other books in the series, author background, and similar information with “About This Book.” This tool helps to ensure that the books..."
The Oasis has a larger screen than other Kindles and a sturdier aluminum casing. An ambient light sensor automatically adjusts brightness for easy reading in different lighting conditions. The model boasts a higher price tag, and some users missed the headphone jack. But overall, this reader garnered rave reviews. DWYM Electronics Experts plus BestReviews, CNET, Trusted Reviews, Tech Radar, The Guardian, Android Central and 6 more. Along with user reviews from Amazon and Best Buy.
" Combines amazing 300 ppi high resolution display,sleek design, effortless page turn feature and adjustable built in light." "The big caveat is that the new Kindle Oasis doesn't come with a case." This high-end reader holds up to its Kindle competition with a large screen and impressive memory capacity. It's also waterproof, and it comes with an array of LED lights around the screen for nighttime reading. Though the added size and weight may make this reader less travel-friendly, it's an overall great option for an e-reader. DWYM Electronics Experts plus New York Times Wirecutter, Tech Spot, Trusted Reviews, Digital Trends, Engadget, CNET and 6 more. Along with user reviews from .
" And Kobo’s high-end reader, the Aura One, has a 7.8-inch display. The value of these Kobo models’ larger screens is debatable. Some people will benefit from being able to use larger text and to see more on the screen"
"Touch screen occasionally didn't respond well"
We identified the majority of the e-readers available to purchase. 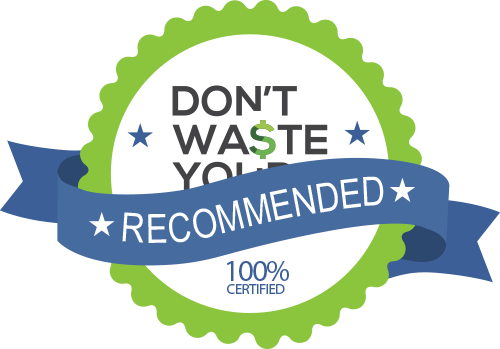 Reviews from our DWYM category experts and analysis of some of the most respected sources including: New York Times Wirecutter, Tech Radar, TechHive, Trusted Reviews, Digital Trends. We also incorporate user reviews from the leading retailers including Amazon, Best Buy, Target. Excellent screen qualit and easy to use. When you’re reading, you can easily turn a page with a tap or a swipe. The screen is evenly lit across its entire surface, and the text is incredibly crisp. This new Paperwhite is waterproof, up to two meters for 60 minutes.Now that Kindles are waterproofed, there’s no turning back. Pool lovers and bathtub readers will greatly appreciate this addition to the Paperwhite. 10 percent slimmer, lighter and more durable with full waterproofing. New this year is water resistance to 2 metres for up to 60 minutes, which means trips to the beach or poolside are less fraught with danger. The new, slimmer design, less than a third of an inch thick, and the lightness, really stand out. Obviously, it means you can listen to audiobooks from Audible, even if I'd argue the Audible app for your phone is easier for most situations. The screen is now made of glass and flush with the body, which feels more premium. Some type of files may need to be converted. Despite updated processor, Paperwhite feels sluggish when it comes to doing anything other than page turning. A little more expensive than the previous model. The ad-free version costs $20 more. Annoyingly, Amazon doesn't include a USB power adapter. The swiping gestures are slightly easier now that there’s no lip to the display, but page turn buttons are better for one-handed reading – you’ll need to spend another £110 for the Kindle Oasis for those on an Amazon e-reader. We’re more disappointed at the lack of a blue-light filter, or any kind of option to adjust color temperature on the Paperwhite. The power button is on the bottom edge of the tablet, which I sometimes worry that I might inadvertently press on it while reading. The base Kindle now comes in at 167 PPI, but unless what you're reading has lots of images and graphics, slightly blockier text isn't an egregious experience, at least in my opinion. This isn’t new to the 2018 Paperwhite, but I really wish you could disable turning pages with a tap. You can disable the touchscreen and turn pages with a swipe, but this blocks all other features. For the E-Reader category, we analyzed 182 of the most popular reviews including reviews from New York Times Wirecutter, Tech Radar, TechHive, Trusted Reviews, Digital Trends, Tech Spot and more. The result is a ranking of the best E-Readers.